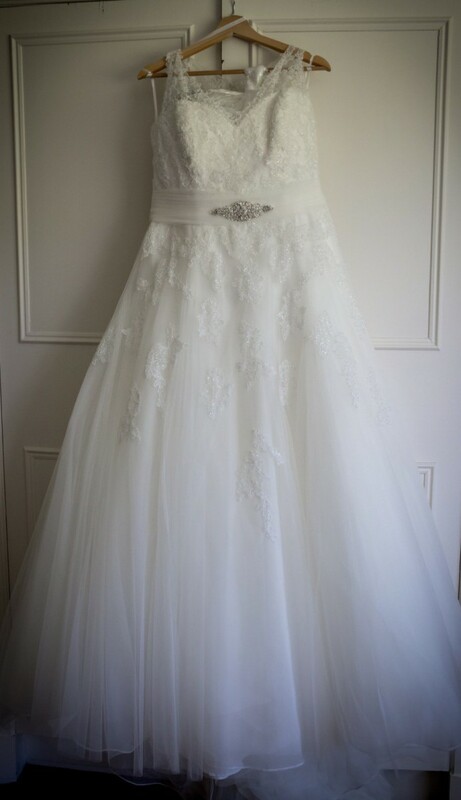 A-line ‘princess’ style wedding gown - light shade of ivory (looks white). worn at own wedding in 2017. Some dirt/ mud on bottom of dress however will be easily removed when dry cleaned. Dress has been stored carefully in wedding dress box with special tissue paper to prevent discolouration.